Translate: The Impossible Collection was a series of events and an exhibition (1 August 2008 - 4 September 2008) around the collection of the Wyspa Progress Foundation, curated at Wyspa Institute of Art (Gdansk, Poland) by Aneta Szylak. The Wyspa Progress Foundation has been collecting artists’ works since 1995 and the collection has grown without public support and outside the system of regional collections of contemporary art thanks primarily to donations from artists. The exhibition aimed not to be just a simple display of the collection, but to provoke new readings of the phenomenon of collecting, and to question the relationship between the market and art. The 'Collection' usually constitutes one of the traps of the institutional format. Showing the collection often builds definitions, generates unambiguity and systematizes the permissible meanings. "The Impossible Collection" was created to express resistance to this kind of curating. The show was a call for the variability and the modality of the way of exhibiting and viewing, and an appeal for the active viewer who would give the collection its new life. An important part of the show was exhibiting the gallery's archives containing files on artists, past exhibitions and topics of interest to the gallery. 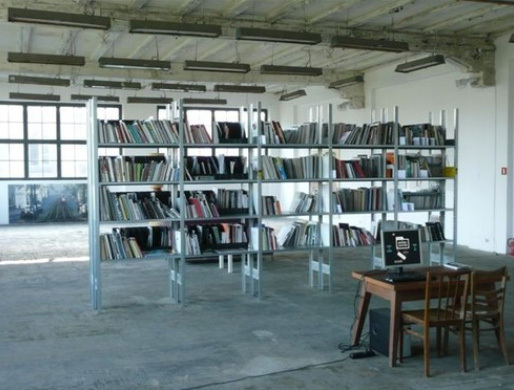 Its vast collection of books and catalogued exhibition leaflets from all around the world were also exhibited in the central space of the gallery. Visitors had a computer, desk and a sofa at their disposal so they could easily browse through the gallery's collection. What is usually hidden, was opened and available to the general public. One of the events related to the project was a performance by Elzbieta Jablonska entitled ‘Kitchen’ (Wyspa Institute of Art, 2007). 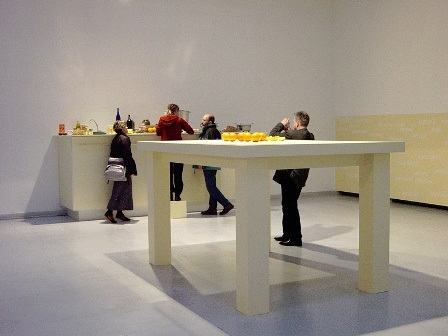 Jablonska first donated her renown installation ‘Kitchen’ (2003) to the Wyspa Progress Foundation collection in order to destroy it later during the performance. Her installation was a typical kitchen but on a large scale, where suddenly all familiar activities were difficult to perform, therefore ‘Kitchen’ has been shown many times in a feminist context. The performance at Wyspa Institute of Art proposed a new interpretation of this work. Destroying part of the collection questioned the status of an artwork and collecting and the collection itself.